Instead of starting a new raffle, we will draw names from the Pappy Raffle list that we already have. We still feel that drawing random names is the fairest. We are going to draw names on Tuesday, October 27 (will gather all the sign ups from all 4 stores on Monday) for some Weller 12 year old and Yellowstone 105 Bourbon. 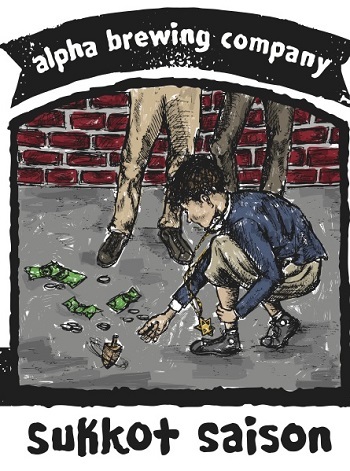 We are going to use the current list of sign ups from Pappy Van Winkle lottery. If you your name is drawn you will be able to purchase a bottle. This will not disqualify you from the Pappy Raffle. Your name will still stay in the mix. These we will draw when we do the Pappy Van Winkle Raffle. After we do the Pappy Van Winkle Raffle, we will draw more names for these. If you get Pappy Van Winkle, you will not qualify for these. You will get one or the other. Trying to spread the love. Yes, we did get in Blantons, Eagle Rare, Col Taylor Rye, Barrel Proof, Sazerac 6 Year and a few more goodies. We just put them on the shelf last week 1 bottle at time for regulars to find until they were gone. Again, we just want to keep mixing it up. Sometimes you will find these on the shelf with out any announcement, sometimes we will announce when they arrive. We want to reward people that are shopping in the store and not just racing in when the limited stuff arrives. Each store's cheese selection varies, stop buy and taste for free. We will find something you will love! This white cheddar is apple smoked and then hand rubbed with paprika. It has a light smoky flavor that balances very well with the paprika. Our Apple Smoked Cheddar has won many awards including 1st Place at the 2005 American Cheese Society in its category, 2nd Place at the 2007 World Cheese Competition, and 2nd Place at the 2012 American Cheese Society Competition. 10% off Mix/Match Case price available also on the prices you see below! Luc Morlet’s 2012 Cabernet Sauvignon Coeur de Vallée is a 300-case blend of 75% Cabernet Sauvignon and 25% Cabernet Franc from the Beckstoffer To Kalon Vineyard. A mindblowing effort, it offers up notes of mocha, forest floor, blueberries, blackcurrants, asphalt and licorice. Full-bodied and opulent, this sensational 2012 is one of the vintage’s superstars. It should drink well for 20 years. The 2012 Cabernet Sauvignon Mon Chevalier is composed of 86% Cabernet Sauvignon, 8% Cabernet Franc, 3% Merlot and the rest Malbec and Petit Verdot, all from Knight’s Valley and aged in large oak puncheons. 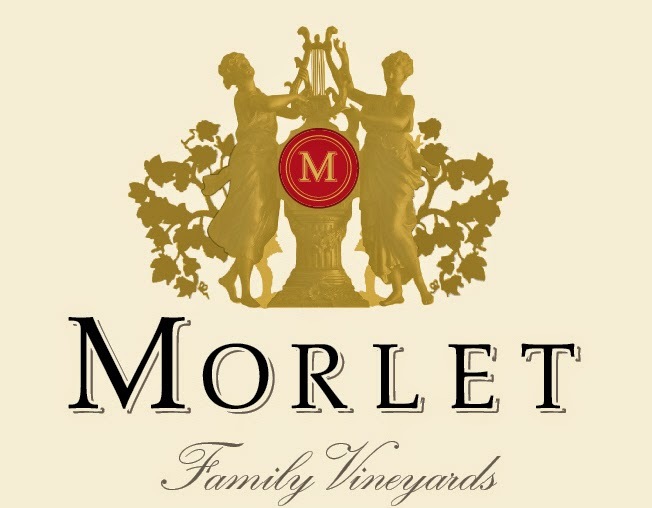 The least expensive of the Morlet Cabernets, the open, round, light 2012 offers sweet white chocolate, blackcurrant and mineral notes in a full-bodied, opulent style. It can be consumed now and over the next 10+ years. Lowest price on Wine-Searcher is $239.95The full-bodied 2012 Cabernet Sauvignon Passionnément, which comes from the Oakville Bench, was aged in new oak puncheons. There are 250 cases of this Pauillac-like offering. It possesses notes of Christmas fruitcake, spice box, vanillin and black fruits in its opulent, open-knit personality. Drink 2018-2035. Steckler Grassfed 'Bright Meadow' Organic Cheddar Cheese is produced from 100% grass-fed, raw, organic milk, fresh from our own Dutch Belted dairy herd. Each batch of cheddar is made by hand on our farm in our new creamery, which has been inspected and approved by the Indiana State Board of Animal Health. Our farmstead artisan cheese is aged for a minimum of 60 days to develop its delicious, nutty flavor and smooth texture. Fresh raw milk from grass-fed cows produces cheese that has a uniquely complex flavor profile. Steckler Grassfed Cheddar is packed with nutrition that comes naturely from grass-fed raw milk. Our cheddar includes a balanced blend of omega 3 and omega 6 fats, as well as digestible vitamins and minerals. This white cheddar has cranberries and chipotle peppers for added flavor. It has the taste of the best Texas barbecue sauce and the heat comes on after the flavor of the cheese and has a very warm finish. Cranberry Chipotle Cheddar took 3rd Place at the 2007 U.S. Championship Cheese Contest and 3rd Place at the 2007 American Cheese Society. 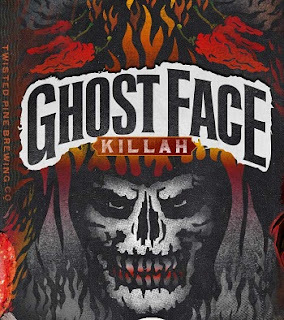 This IPA is spiked at bottling with Brettanomyces, a wild yeast that, over time, brings about charmingly unpredictable complexities of spice, funk, acidity and more. The operative words in our beer-cellaring thesis are “over time.” For those of you who are impatient or like to experiment, the earliest we recommend sampling this beer is 10.31.15. The beer won’t be fully carbonated until that date. Ideally, you’ll want to cellar the beer up to—or beyond—the Enjoy After date to help it reach its full evolutionary potential. At that point, some facets of the Brett characteristics will have mellowed, while others will have become more profound; it all matures into a fascinating and delicious culmination. Individual results will vary…and that’s both the beauty and the intent behind this beer. 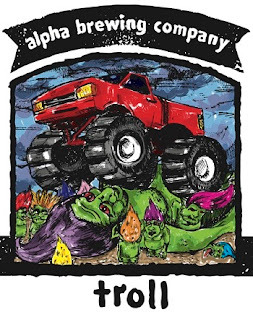 Deep in the oyster beds of Louisiana surfaces one Bad Mother Shucker - Abita's Oyster Stout. Brewed with pale, caramel, roasted and chocolate malts, this Mother Shucker is hopped up with Willamette hops and balanced out with the sweet and full flavors of oats. Fresh Louisiana Oysters are added to the boil in the final stages, infusing a slight taste of sea salt that offsets the sharpness of the stout. Cutty Sark Tam o’ Shanter is a new variant of the existing award-winning Cutty Sark 25 year old blend with a distinctly darker, wilder side. Tam o’ Shanter is a poem by beloved Scottish poet Robert Burns and it is this poem which inspired the naming of the Cutty Sark Clipper and Cutty Sark original Scotch whisky. This bottling is the first limited edition specially selected by Kirsteen Campbell, Master Blender at Cutty Sark presented in a stunning oak box including specially commissioned book by Scottish artist Alexander Goudie – a rare expression which makes a fantastic gift or collectors pack. The whisky itself in this limited edition is a fullbodied, boisterous and sweet 25 year old expression; its rich, shadowy dark amber colour perfectly reflects the roots of the brand’s origin. COLOUR:Rich, shadowy dark amber as if glistening from a subterranean Gothic fire. NOSE:Full bodied, boisterous and sweet with a darkly sinister menace, rich velvet curtains surround dark chocolate, eucalyptus, cracked black pepper and drying mint whilst dancing with rich full sherry sweetness and toffee. Waves of flavour and texture envelop your tongue, powerfully tantalising and teasing your taste buds. FINISH:Lingering, long, rich, sweet yet spicy. Truly full-bodied whisky with which to face Auld Nick himself. A maleficent dram! 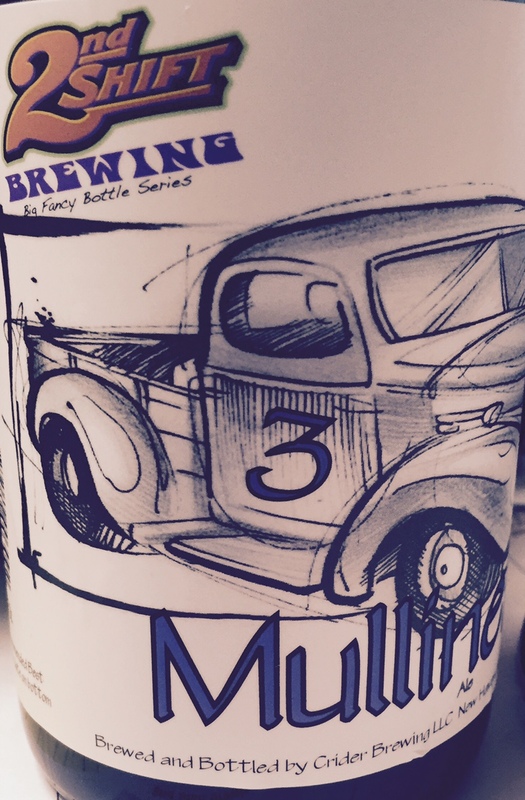 Both #3 and #5 are in stock now! It’s no secret… the Twisted brewers love to explore new ingredients and flavor combinations. 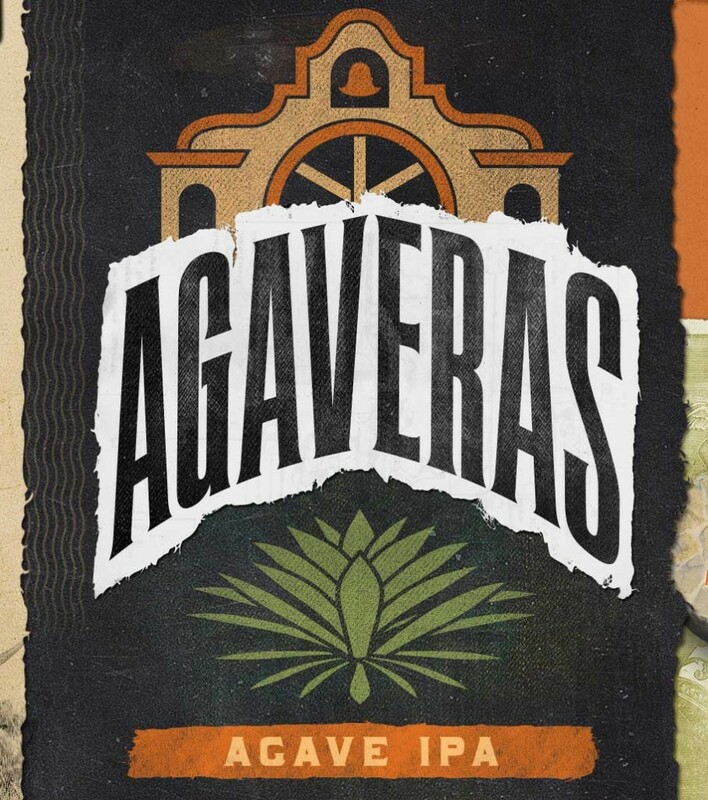 In the course of experimentation, our crew discovered agave nectar. 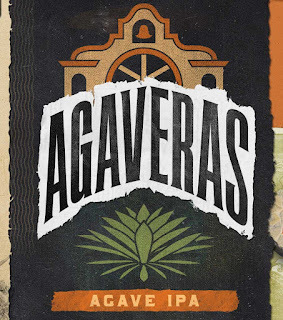 While the contribution of this unique sugar source is subtle where taste is concerned, it is crucial for achieving the beer’s super-light body while maintaining the strength of this full-flavored IPA. Our most award-winning beer, this rich and expressive stout flaunts the invigorating aroma of a freshly-pressed cup of coffee. 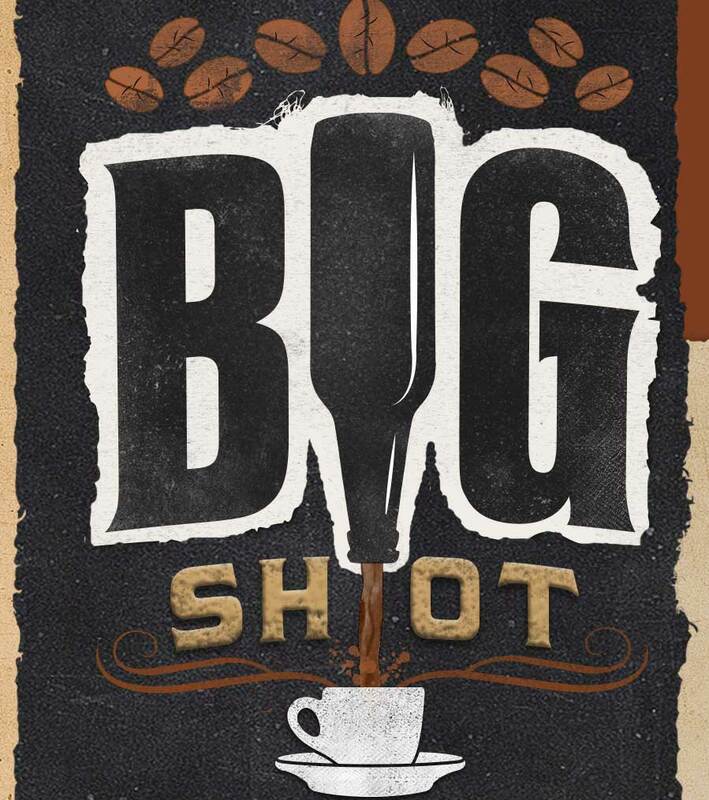 Emboldened with Peruvian beans, blind-roasted by local legend The Unseen Bean, Big Shot is just as suitable for an after-dinner drink as it is for a brewer’s breakfast. This popular beer is refreshing and perfectly balanced with a crisp tartness. It has a clean creamy texture and is bursting with raspberry flavor. It pours a golden color with a huge rocky white head. 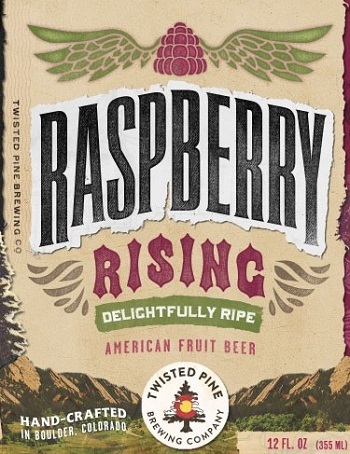 It’s made with a natural raspberry flavoring and soft and chewy malts that blend to a mild sweetness. Simple and refreshing. From the dark depths of devious minds at Twisted Pine comes this demonic treat fir the true heat freaks- those gluttons for punishment that treat every meal like an exercise in extremism, smothering each bite they consume with Scoville-soaring, palate-torching peppers and sauces. 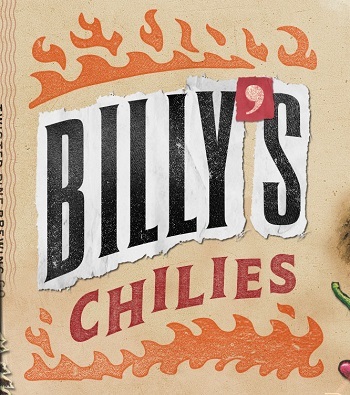 Underneath an unassuming, straw gold veil lurks the searing spice of six varieties of chile- including the infamous Bhut Jolokia, or ghost pepper. Utter agony for most, but absolute euphoria for a fiery few. Serrano, Habanero, Jalapeno, Anaheim, and Fresno chili peppers are the stars of this unfiltered wheat beer, providing wonderfully fresh, spicy aroma and a complex chili pepper taste. The chili flavor is mild, not dominant, thus making for an incredibly drinkable beer that pairs great with food and will leave you thirsty for more. Beringer Private Reserve 2012 is here now! Revealing the great blending skills of Beringer’s winemaking team, the 2012 Cabernet Sauvignon Private Reserve is a winner. Having purchased Private Reserves for many years, I can attest that they age incredibly well. The 1991, one of the great successes of that vintage, is still aging beautifully at nearly 25 years of age. The sensational 2012 (10,000 cases) boasts an opaque purple color along with abundant aromas of charcoal, burning embers, creme de cassis, chocolate, blackberries and licorice. The long, complex, compelling, full-bodied texture along with terrific purity and a savory, rich mouthfeel result in a classic, quintessential Napa Cabernet Sauvignon to drink now and over the next 20-25 years. 2nd label of OPUS ONE!! 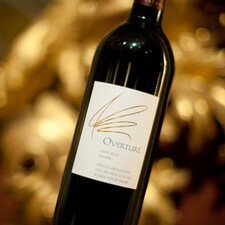 Overture is the "second wine" of Opus and traditionally only sold at the winery and a few fine restaurants. We have been able to score a limited amount of this rare wine! Multi-vintage blend from 2010,2011, and 2012Full bodied but approachable in its youth, Overture shows generous dark fruit aromas and flavors with a soft, supple mid-palate. As a fine wine, Overture will develop beautifully over time. In keeping with the tradition of many great Bordeaux estates, Opus One produces a fine second wine called Overture. Since 1993, Overture has been crafted as a part of our relentless pursuit of quality for Opus One. Every acre of our estate vineyard is farmed with the attention to detail and singular focus required to produce Opus One. Nevertheless, in any given year, not all of the parcels from our estate are selected for the final blend of Opus One. When these wine lots are afforded additional time in barrel, in combination with the added flexibility of blending across multiple vintages, the final wine achieves a remarkable elegance and complexity that represents a superb expression of our estate. This is Overture. There will be a special price that day only for the wine of the week. This one will be a fantastic Thanksgiving wine! When French know-how meets New Zealand terroir. Made by the Laporte family from Loire, France. 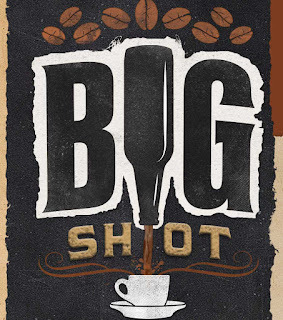 You will enjoy the cocoa notes in the nose, allied to subtle delicate and smoky aromas. It reveals a beautiful expression of Pinot Noir and deep black fruit aromas. In the mouth, there is a lovely freshness, added to fruit notes and silky tannins. It is well balanced: the structure is fine and rather feminine, whereas the texture is more powerful and masculine. It is a wine we really enjoyed making, it is a wine you will love tasting. 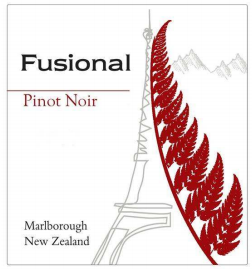 Fusional is the Selection of our estate grown young vines. It reflects all the excellence of the fusion between the terroir of our vineyard and our historical know how, showing luscious fruit and lovely roundness. Thanks for caring so much about us, we love you...we brewed this beer just for you. 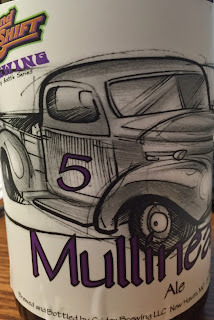 A Belgian Wheat wine style ale dry hopped with galaxy hops. Delicately sip this down you throat. Feast your lips on this Saison harvested just for you! Brewed with date palm sugar and lemon zest. How would you like to spend 40 years in the desert? Probably with this beer in hand. Shove this down your throat! 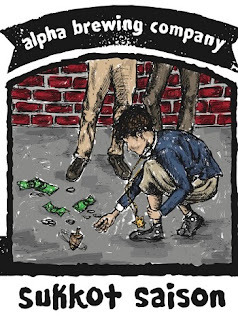 Hearken, ye merry craft-ale imbibers, as we present thee an ale inspired by medieval England. This re-creation of a medieval English ale is a brew the Knights of the Round Table would have heartily enjoyed. A strong beer, it has intense bready malt character accompanied by herbal, earthy hop notes and mild smokiness. The addition of elderberries imparts subtle blueberry-like flavor, while flaked oats and pale, amber and smoked malts mirror grains used by English brewers hundreds of years ago. It’s a beer inspired by the Middle Ages, but perfect for enjoying in the 21st century. In 2008, Stone Brewmasters Steve Wagner and Mitch Steele traveled to Belgium, where they enjoyed a number of hop-driven Belgian tripels, pale ales and IPAs—beers that had taken a cue from the U.S. craft brewing movement and inspired us in return. It’s a big reason 2008’s summer season came to be known at Stone as our “Summer of the Triple.” Upon their return, they crafted Stone 08.08.08 Vertical Epic Ale, the seventh beer in the 11-beer Stone Vertical Epic Ale series. Packed with floral, spicy essence from Belgian yeast plus plenty of hoppy New World character, it’s our West Coast take on hop-driven Belgian beers. 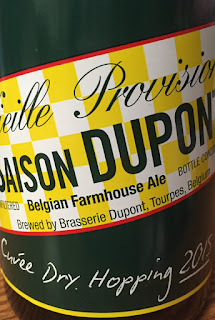 Saison Dupont Cuvee Dry Hopping 2015. 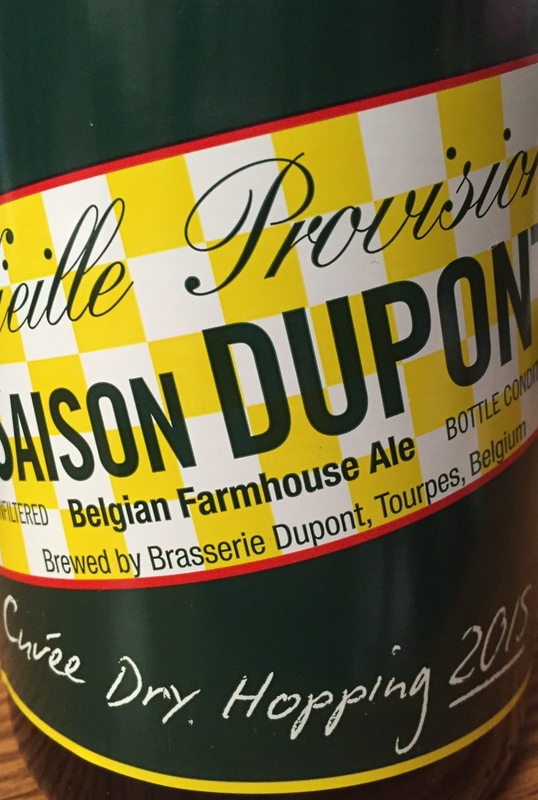 The first brewing of the Saison Dupont Dry Hopping dates back to 2010. This is a blond top fermentation beer with refermentation in the bottle, like the traditional Saison Dupont. 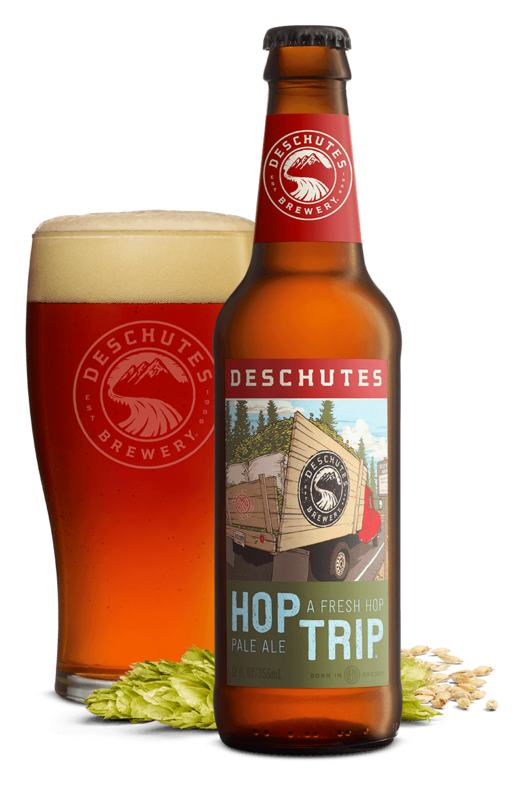 The peculiarity of this special production, brewed in limited quantity, is that the hop used for the dry hopping is different every year. This year, three distinct types of hop were selected. 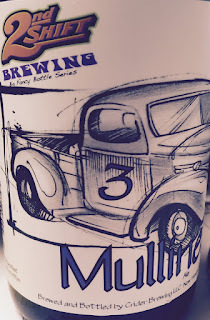 For the dry hopping, the brews were produced with the hop “Minstrel” grown in England. The Dry Hopping is a copper-coloured blond beer, dry and thirst-quenching, with a sharp bitter flavour. It emphasizes the beer’s fruity and floral notes. Our selection of yeasts contributes to the beer’s typical aromas and taste. A real refermentation in the bottle, which can be extended in your own cellar, results in a complex and very aromatic beer. Chicory, dried fruit, and toffee notes. A robust ale with a warming spice. 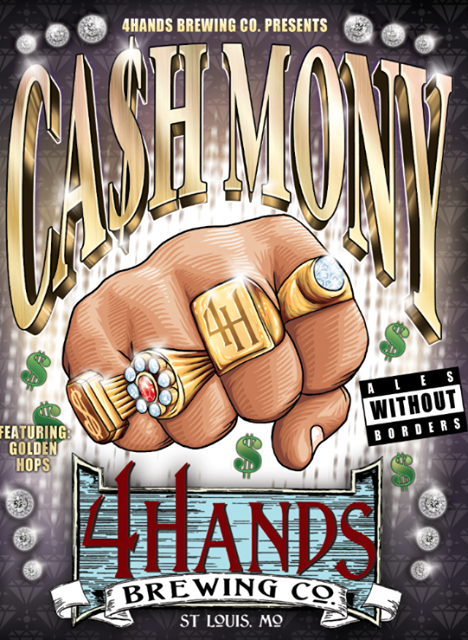 Available October – December. 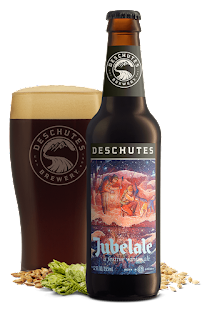 Warm spiciness and tradition grace this bold winter ale. Intriguing, layered flavors unfold to reveal chicory, dried fruit and toffee notes with a hoppy kick to finish. The deep garnet color pairs perfectly with holiday celebrations.